The cold temps are back but warm ones are not too far away. 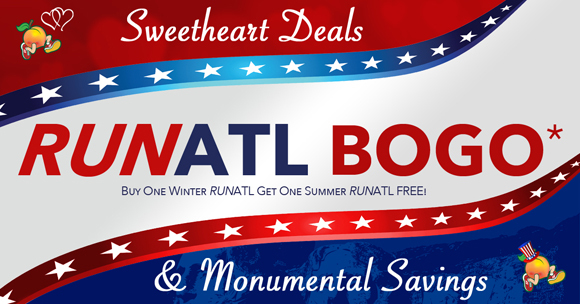 Take advantage of our "Buy One, Get One FREE" on RUNATL! Purchase any regularly priced Long Sleeve or Hoodie and get a FREE Singlet, Tank, or Short Sleeve RUNATL shirt. Purchase any regular priced 1/4 Zip or Full Zip Hoodie and get a Long Sleeve for FREE! All Winter Apparel is also marked 40% OFF! This sale runs through February 28th. Rush down to your nearest Big Peach Running Co. location before the best selection is all gone! The RUNATL BOGO offer is not available online. 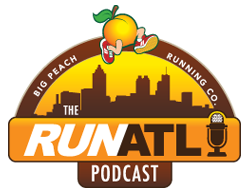 Catch up on the latest episode of the RUNATL Podcast with Mike & D2! Recovering from a long run or weeks of training can be challenging. Our friends from TD Wellness are hosting a nutrition clinic that will highlight foods and meal timings that can improve recovery and enhance your overall running fitness. See you there! RSVP here. Please read the dress code requirements when you sign up. We'll make accommodations for you as well. Sign up for the remaining 9 spots here! This is a great single and double track off-road running experience. The terrain is made up of a little bit of everything, rolling hills, single track, double track, roots with some technical sections. The course is beautiful and offers something for every runner truly wishing to ´ditch the city´. 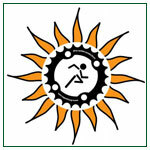 The 50K race offers the option for solo or relay (2 or 3 persons). Register online. The 6.2 & 4.3-mile course offer a combination of single and double track off-road running. The trails are intermediate in difficulty and include short and long climbs and descents, roots, and rocks. The trail system at Charleston Park runs along the edges of Lake Sidney Lanier in north Forsyth County.